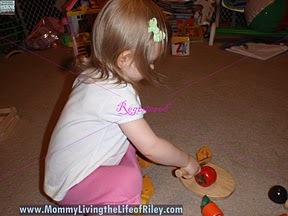 Since Riley has two different tea party sets and we have at-home "dinner parties" often on our living room floor, I was super thankful to be able to review the Veggie Cutting Set from ImagiPLAY. I mean, us girls have to have SOMETHING to eat while drinking all of this tea! 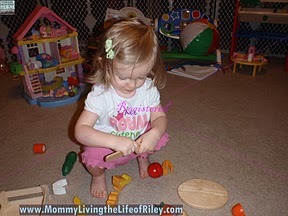 ImagiPLAY was also kind enough to send along the 3 Chicks Chunky Wooden Puzzle for Riley to review as well. 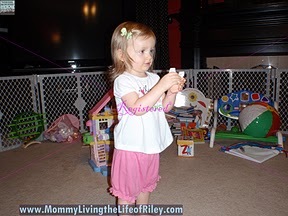 Read on to learn more about what we thought of these two toys. Producing toys using only materials and processes that show respect for the planet and all the people and creatures upon it has remained ImagiPLAY's promise and challenge. 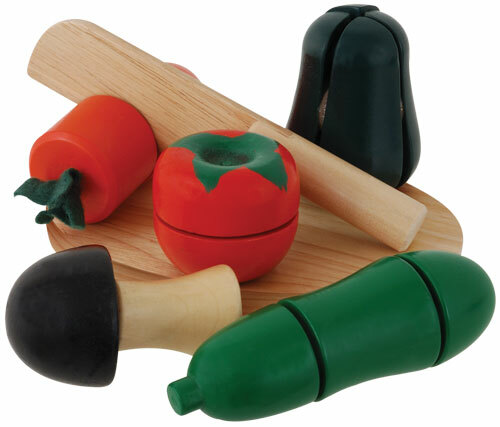 All of ImagiPLAY's toys are made from eco-friendly materials, with plantation-grown rubberwood being a favorite. Rubber trees produce a sap that is used to make latex products. At the end of their latex-producing years (generally 25-30 years) the trees are harvested and new ones planted. But these wonderful trees have one more gift to give us -their beautiful, splinter-free hardwood, from which ImagiPLAY makes many of its award winning, heirloom quality toys. Products for which Rubberwood is not suitable are made from wood from managed forests. ImagiPLAY's factories are placed close to the neighborhoods where its craftsmen live so that the majority of them can walk or ride their bikes to work each day, enabling its craftsmen to maintain quality relationships with their own children while they make toys for others. 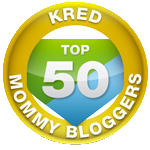 I am always happy to feature companies on my blog that are making Earth friendly products. 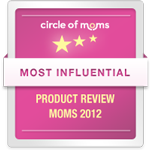 ImagiPLAY qualifies for this distinction because all of the toys they create are made from plantation-grown Rubberwood, an eco-friendly hardwood. They also use lead-free paint on all of their products and employ only fair and ethical labor to create their toys! 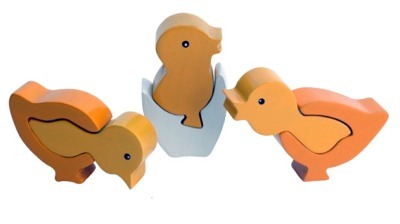 We were also sent the 3 Chicks Chunky Wooden Puzzle which was handcrafted, handpainted and recommended for children ages 3 and up. There were six easy-to-manipulate pieces to this puzzle and the assembled chicks could stand up easily and even be played with like this. 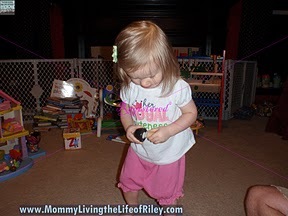 Riley absolutely couldn't wait to tear into the Veggie Cutting Set! I demonstrated how to use the knife with the cutting board as well as how to "slice" the veggies. She took it from there! Now admittedly, she couldn't exactly cut them herself with the knife yet, but that didn't slow her down. What's great is that I know she will keep trying and trying until she gets it, thus building more motor skills and control. Until then, she was quite happy with just pulling the vegetable segments apart and putting them back together again. She even started mixing and matching the vegetable segments into her own unique combinations. I cut several veggies myself and have to admit that this is a really neat toy! The vegetable segments Velcro together just enough to give you some resistance when trying to slice through them with the knife. I couldn't believe how realistic this toy was. The Velcro is also very well adhered to the segments and seems like it will stand up to years of "cutting". Riley didn't take to the 3 Chick Chunky Wooden Puzzle as much. I think it has a lot to do with her age though. 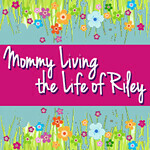 The 3 Chick Puzzle is geared for children ages 3 and up and Riley is just 20 months old. It seems that she had a harder time putting this "3D" puzzle together and she didn't realize that she could use her imagination and play with the chicks once they were assembled. I know that this will come in good time though and I'm sure she will love this puzzle too one day! 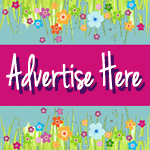 ImagiPLAY is a wonderful online store which carries many unique and eco-friendly toys for your little one. 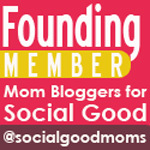 I highly suggest checking out their site the next time you're in the market for a new toy! Disclosure: I received the Veggie Cutting Set and the 3 Chicks Chunky Wooden Puzzle from ImagiPLAYin order to facilitate my review. No other compensation was received. This product review is based on my own personal experiences with this item and is completely honest and objective.